Chiori Miyagawa is a NYC-based playwright. This Lingering Life received a world premiere production in San Francisco at Z Space, produced and directed by Jubilith Moore from Theatre of Yugen. 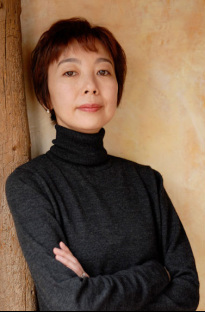 Chiori’s other plays include I Have Been to Hiroshima Mon Amour (at Ohio Theater, produced by Voice & Vison Theater); Antigone Project (Women’s Project), America Dreaming (Vineyard Theater), Nothing Forever and Yesterday’s Window (New York Theatre Workshop) and others. She is happy to return to HERE with Cake Productions. Her last project at HERE was Dream Acts in 2012. She has been an artistic associate at New York Theater Workshop where she designed and managed the first phase of the fellowship program for playwrights of color; and an associate artist of JoAnne Akalaitis at the Public Theater. She is a recipient of many fellowships including a New York Foundation for the Arts Playwriting Fellowship, a McKnight Playwriting Fellowship, a Van Lier Playwriting Fellowship, an Asian Cultural Council Fellowship, a Rockefeller Bellagio Residency Fellowship in Italy, a MAP Fund from Creative Capital, and a Radcliffe Institute for Advanced Study Fellowship at Harvard University. Twelve of her plays are collected in two books: Thousand Years Waiting and Other Plays (Seagull Books) and America Dreaming and Other Plays (NoPassport Press). 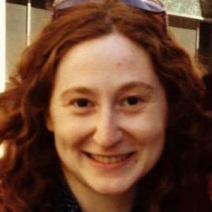 She is a Usual Suspect of New York Theatre Workshop, an alumnus of New Dramatists (2006-2013), a playwright member of Lark Play Development Center, and a faculty member in Theater and Performance program at Bard College. 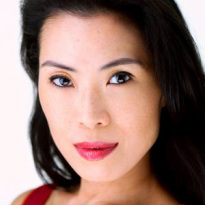 Ronald Cohen is thrilled to revisit Chiori Miyagawa’s This Lingering Life, after appearing in this haunting play in a New Dramatists presentation. He also appeared in Miyagawa’s Woman Killer at Here Arts Center. Among other NY theatre credits: Artist Descending a Staircase, Henry IV Part One (Boomerang Theatre Company); The Recruiting Officer (NY Classical Theatre); Twelfth Night (Kings County Shakespeare); Messiah (Workshop Theatre Company). 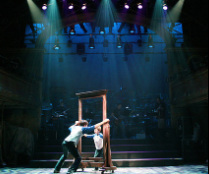 Regional work ranges from Cincinnati Playhouse to Orlando Shakespeare and Lake Lucille Chekhov Project. Meg MacCary most recently covered Karen and Beth in Dinner With Friends at The Roundabout and had the great pleasure of playing both roles. She won an OBIE for her performance in What Then by Rinne Groff, directed by Hal Brooks. Recent New York includes: I Came To See You On Tuesday (La Mama), The (*) Inn (Abrons Art Center), Barking Girl (4th Street Theatre), Prison Light (HERE), The Tempest (Target Margin), The Country Wife (Odyssey Productions), Thank You Kind Spirit (Target Margin), Gentleman Caller (Clubbed Thumb), No More Pretending (Inverse). Regionally: Mrs. Fitch in Mr. and Mrs. Fitch for Amphibian Stage in Fort Worth, Guthrie, La Jolla Playhouse, Utah Shakespearean Festival. Film: The Giraffe that Knew Too Much (Bob Giraldi, Prod.). Meg co-founded Clubbed Thumb, and served as co-artistic director for 13 years and she serves on the Board of HERE where she has performed a dozen times over the past two decades. 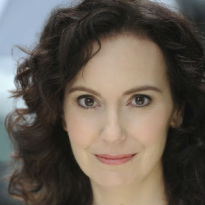 Stephanie Weeks has performed with Obie Award–winning companies Target Margin and Hoi Polloi. Some of her favorite roles include Salima in Ruined, Belle in A Christmas Carol, Charmian in Antony & Cleopatra and Shark in Oh My God I'm So Thirst(y), for which she received an Innovative Theater nomination. She has training from the London Academy of Music and Drama, where she earned an MFA, and from the American Conservatory Theater. Enormvs is in this production because he was promised CAKE. HE comes to us fresh off of an eight-year stint in San Francisco, where he worked with Theatreworks Silicon Valley, San Francisco Playhouse, Theatre Rhinoceros, Cuttingball, The New Conservatory Theatre Center, Theatre of Yugen (who cast him in the premiere of This Lingering Life earlier this year), San Francisco Ballet, and several other companies. In addition to acting he is an accomplished burlesque performer, circus performer, edutainer, visual artist, and a (hula) dancer. Study: Brigham Young University, University Of Hawai'i at Mānoa. 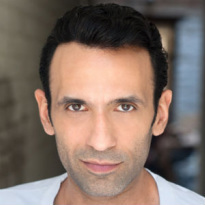 Luke Forbes has been featured in several plays in New York, including: The Public Theater's TONY® Nominated Broadway production of The Merchant of Venice with Al Pacino. He has been seen in other plays. 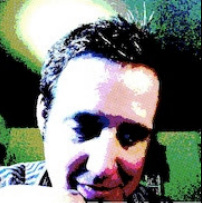 He has also appeared in several cinematic endeavors, including shows on TV networks such as: ABC, CBS, FOX, NBC, and in MTV’s forthcoming One Bad Choice... Luke has also been in a few films: the latest release in which you can see his face is Table Ten Films’ Clutter starring Carol Kane and Natasha Lyonne--Clutter can be viewed at your leisure utilizing a Video On-Demand service such as iTunes, or some such other service. It’s worth the view...not because of Luke’s face but, like this show, it is beautiful! Luke is a Brooklyn native. He still lives there. It’s nice. Francesca founded Cake Productions in 2009 with Marta Kuersten and has been an active member ever since. Credits with Cake include: Modern Dance for Beginners at the Cherry Lane Studio Theater, Psych at The Paradise Factory Theater, Speaking in Tongues at New York Theater Workshop’s 4th Street Theater, Swimming in the Shallows at the 52nd St Theater, In The Company of Jane Doe at New York Theater Workshop’s 4th Street Theater, and The Learned Ladies at Abingdon's June Havoc Theater. 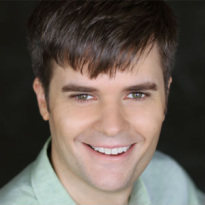 Other theater credits include: As You Like It at RSC’s Dell Theater in Stratford, The Rutgers Classical Showcase at Shakespeare’s Globe in London, Baby Boom at the George Street Playhouse Studio, Titus Andronicus at the Arclight Theater, The Sandman with Terra Firma Dance Theater. She is also a stand-up comedian performing throughout New York at venues such as Caroline's The Stand and Gotham Comedy Club, as well as throughout the US. 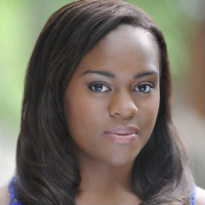 She holds a BFA in Acting from Rutgers University, and a MA in Classical Acting from The Central School of Speech and Drama in London. Marta originally hails from Chicago, and is a graduate of NYU’s Tisch School of the Arts, where she studied with ATC and RADA. She has appeared in New York with theatre companies such as Milk Can, Inverse, RoundTable, (re:)Directions, and others. Favorite productions include Comedy of Errors with Lake George Theatre Lab and Really Rosie with Atlantic Theater for Kids. In 2009 she co-founded Cake Productions with Francesca Day, with the goal of bringing high-quality, accessible theatre to off-off-Broadway venues. She went on to star in Cake’s first show, Modern Dance for Beginners, which had its New York premiere at the Cherry Lane Studio Theatre in July 2009. She made her directorial debut with Cake’s next full-length production, Psych in May 2010; other credits with Cake include Speaking in Tongues, Swimming in the Shallows, In the Company of Jane Doe, and The Learned Ladies. She has hosted monthly segments for the Epix channel on Dish Network, and provides voice overs for MLB.com and the Ice Network. Recent credits include The Wong Kids in the Secret of the Space Chupacabra Go! (Theatre Ma-yi: Children's Theatre Company, MN and La Mama) A Little Night Music (New London Barn Playhouse, NH), A Midsummer Night's Dream (Vermont Shakespeare Company, VT), Olives and Blood (HERE), The Strangest (HERE Culturemart), Centaur Battle of San Jacinto, Labyrinth of Desire (Fordham University). MFA University of Iowa. 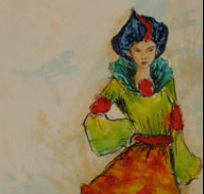 If you would like to see more work, please visit www.beckybodurtha.com! A freelance stage manager, Courtney has stage managed each of Cake Productions’ shows, and has branched out into projection design with Blogologues (blogologues.org). 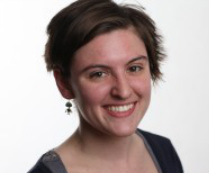 A proud public school educator, Courtney is the Math Department Head, Programmer and Technical Theatre Advisor at Bronx Theatre High School, where she has been teaching since 2006 and has directed four productions thus far. Courtney feels incredibly blessed to work with such charismatic and brilliant students each year. 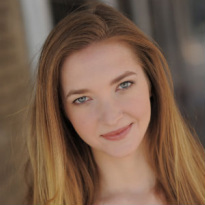 A native of Colorado, Brooke earned her BA in Musical Theatre from the University of Northern Colorado and then trekked across the country to reside in Manhattan. She spent many years traveling the country and the world performing – favorite roles include: Sarah in Sarah, Plain and Tall, Irene in Crazy for You and The Baker’s Wife in Into the Woods. She joined the Cake Productions team during the premiere performance of Modern Dance for Beginners. She has since produced and performed in Cake’s mainstage productions of Psych, Speaking in Tongues and In the Company of Jane Doe, as well as the holiday production of It’s a Wonderful Life: A Live Radio Play and the Reading Series production of A Boy Called Newfoundland. 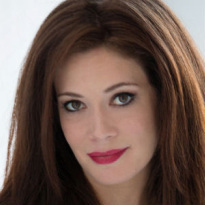 She also received a 2010 New York Innovative Theatre Awards Nomination for Outstanding Costume Design for her work on Cake’s production of Psych. Brooke is infinitely proud of the accomplishments of Cake Productions and her amazing associates within the company’s first four years of operation. Proud Equity member. * member, Actors' Equity Association.